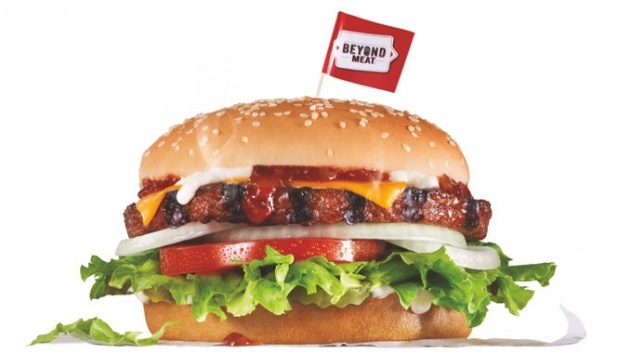 If even more evidence were needed that healthful, meatless eating is trending, look no further than Carl’s Jr. which is introducing a Beyond Famous Star Burger featuring Beyond Meat’s new Beyond Burger 2.0 patty. The Beyond Famous Star Burger features a quarter-pound Beyond Burger patty cooked on an open flame and comes topped with American cheese, special sauce and mayo, lettuce, tomato, onion, and dill pickles, all sandwiched between a lightly toasted sesame seed bun. (You can drop the cheese and mayo to keep it vegan). The Beyond Burger patty is free of GMOs, gluten and soy, has lower saturated fat than regular beef, and features 20 grams of protein.